What are the essential components of a healthy, vibrant marriage? Many times, the kind of relationship that couples dream of, can feel just out of reach. However, you can learn how to transform your marriage so that it is stronger and more satisfying. So often, we strive and strain but end up with little or no satisfaction or reward. We do not always know how to create a healthy relationship, but we certainly know the pain, loneliness and sense of disconnection that comes from not having one. In this post I will discuss 6 core practices to create a healthy marriage. In reading this, you and your partner will learn what is required to create the relationship you truly desire. And once you know what is required, you can decide if these are things you truly desire to practice, cultivate and integrate into your relationship. The first practice to create a healthy relationship begins within you. Developing a finely-tuned sense of self, developing an awareness of who you truly are, discovering what you want and allowing your wants to exist in a context of acceptance and love. We begin to cultivate self-awareness and acceptance by committing to a daily practice to do so. Consistently, we find moments to slow down, breathe deeply and take an inventory of how we are feeling physically, emotionally, sexually, and spiritually. Being in our body with loving compassion, awareness and gentleness leads us to feeling deeply connected to our true nature. We begin to get to know ourselves, our desires, our emotions, and sensations. We begin to set a foundation that allows us to cultivate an acceptance of what is. This acceptance leads to inner peace, confidence, strength, and clarity. The act of paying attention and being self-aware clarifies what is true for us, what we want, what we desire, what we feel and what we value. Now, the challenge is in honoring this. Do you feel accepting to what comes up when you slow down and pay attention? Are you open and curious? Are you eager and willing to explore and go deeper to understand yourself? Or do you find yourself judging, criticizing, and editing your desires, emotions and sensations? Do you feel that you deserve to have what you want? Or do you feel it is selfish to express your desires and wants? Do you resist the slowing down and self-reflection by being distracted, busy, or numb? If we allow what is and honor it through acceptance, curiosity, receptivity, love and compassion, our true nature thrives. We give ourselves the gift of safety, love and freedom. We begin to feel that we are enough. We discover our inner strength and clarity. We develop resilience to meet life’s challenges. We begin to listen more and more to our heart’s voice. This becomes our guide for being authentic, for feeling connected to ourselves, for giving and receiving love, and for creating the kind of relationship we truly desire. What happens when we ignore, deny or are unaware of our self? It is only when we honor our true self and acknowledge our human right to express this, that we can be intimately known by another. If we hold back, if we resist cultivating self-awareness, if we judge, criticize and are harsh on ourselves, then we cannot possibly create a healthy relationship with another. The capacity to know ourselves and honor ourselves helps us to engage authentically and fully with another person. If we do not do this, we will either fall into a pattern of being accommodating to another’s wants and desires and lose ourselves more and more; or we will attempt to assert our wants passively, indirectly and without clear intention; or secretly hope that our partner will just “know” who we are and what we desire, without having to risk the vulnerability required to express it. These ineffective strategies often lead to dissatisfaction, feeling misunderstood or feeling invisible. If we use these ineffective strategies consistently enough, chronic disappointment, anger, hostility and resentment will take deep root within us. The more we cloud our true self with the feelings of disappointment, anger, hostility or resentment, the less likely we are to understand ourselves. Things become muddy and confusing. We struggle to be heard and to be loved, accepted and desired because we have lost touch with who we are. We allow who we are to be buried. We cannot be accountable for our part in our own misery; we cannot be clear about what is ours, what belongs to our partner and what the two of us co-create together. Our partner cannot possibly respond to who we are, what we feel, what we want when we are muddied, confused, hiding and not being accountable for our own internal challenges and struggles. And our relationship cannot thrive unless we commit to practicing loving self-awareness and acceptance. Allow your body, mind and emotions, heart and spirit the space to relax, to breathe, to feel safe, and to bring things to the surface. Remind yourself to put away judgment, criticism, editing, or shaming thoughts. Ask yourself: What am I feeling? What am I wanting or desiring? What helps me to feel loved, accepted, and safe? Explore what comes up more deeply. Ask yourself: What do these feelings and desires tell me about- who I truly am? What do they teach me about what is important and of value to me? How can accepting these feelings and desires lead me to feeling love, acceptance and safety? Now, consider how to bring what you discover into your day. Find one or two small ways you will honor yourself. Will you take out the time to enjoy the pleasure of eating something delicious and savor it? Will you listen to beautiful music? Will you walk in nature? Will you rest? Will you create something? Will you share a part of yourself with your partner? Will you ask for something you want? What feels most loving for you? What moves you closer to being in your body, accepting your emotions and listening to your true nature? Express gratitude for what you have experienced, felt and learned in this session. The second practice for creating a healthy relationship is curiosity. Frequently, after the initial dating period and honeymoon phase of a relationship, curiosity becomes a relationship fatality. Partners assume they “know it all” about the other person. Stories, histories and the past have been shared (or so we think) and now there is nothing new to discover. This is a mistake which tends to influence all aspects of a relationship: physical, sexual, emotional, and relational. Human beings are constantly evolving, growing and changing. Nothing in our universe is immune to change. And yet, in intimate relationships we often assume that the partner I met ___ years ago, is unchanging. Or we tell ourselves that our partner is the same just as the day I met him/her to protect ourselves from the uncertainty that comes with change. So, either we make a false assumption that change does not apply to our relationship, or we use our ignorance to protect ourselves from the fear that can get triggered when we accept the inevitability of change. Either way, without curiosity about one’s self (fueling self-awareness) and about our partner, our relationship can quickly feel stagnated. We become vulnerable to disconnection, experiences of loneliness and isolation, increased misunderstandings, engaging in affairs, and a sense that we no longer love our partner; “We have just grown apart” is a common lament here. And yet, it is when we become more aware and accepting of all things as changing and being in a constant state of flux that we can set an intention to respond with curiosity. We can commit to managing our fear of the unknown and accept that we cannot control life and others. Paradoxically, our acceptance of change and our curiosity creates a more stable foundation and allows us to deeply nurture an intimate relationship. Our denial and closed mind, heart, eyes and ears lead to instability and a lack of intimacy. How do we begin to become more curious? First, by accepting that both you and your partner are not the same people you were when you first met. Life, events, and experiences have continually shaped who you both have become. Both positive, joyful experiences as well as dark, tumultuous experiences. Second, by asking yourself (showing curiosity toward yourself), “When was the last time I really looked at my partner with new eyes? When was the last time I practiced being fully present in order to deeply listen to my partner? When was the last time I made the effort to understand an aspect of my partner that angers me, scares me, or disappoints me? When we take responsibility for the ways in which we have allowed curiosity to die on the vine in our relationship, only then can we also begin to act to create a difference. We can commit to practicing a newfound openness and receptivity. We can commit to listening without reactivity, defensiveness and blame. We can practice being fully focused, and present without distractions. We can acknowledge that our partner is a living, breathing, evolving being who is engaged in an organic, lifelong process of growth. And when we are engaging in this practice of curiosity, we infuse our relationship with inspiration, interest, pleasure, surprise and positive unpredictability. Finally, we must come to terms with our own fear. What are we afraid of when we explore deeply the person to whom we are partnered? What is the fear underlying our resistance to be curious, interested, and intrigued by the person to whom we have committed ourselves and our life? What beliefs fuel the fear and keep us from engaging in the unknown? What does our fear tell us will happen if we uncover things we do not like or understand? Are we afraid that we cannot handle the differences or that it will be the end of the relationship? Are we afraid we cannot integrate these truths into our relationship in both effective and satisfying ways? What part of me has changed the most, since being in this relationship? What has influenced that change? What are some of my most valuable life experiences? How have my life experiences hurt me? How have they strengthened me? How have they healed me? What is one aspect of myself that continues to challenge me? How do I understand this challenge? How do I label it or define it? Can I define it in a way that would help me to let go of it? What is the hardest thing for me to do in my intimate relationship? Why? What are some of my expectations of myself that serve me well? Which expectations do not serve me? What are some of my expectations of my partner? How do they hinder or enhance our relationship? What are my strongest gifts? How do I incorporate them into my relationship in positive ways? What part of you has changed the most since we met? What have been some of your most valuable life experiences? Will you describe to me why they were so valuable? Are there things about yourself that you have not shared with me? Would you like to? If not, what are some of the reasons why you prefer not to share these things? What is your biggest challenge in our relationship? How do you feel when you experience this challenge? What are some of your expectations that serve you well? Which do not serve you? What are some of your expectations of me? What are the strongest gifts you bring into our relationship? What is one thing you learned about yourself in this last week? Month? Year? What do you hope to create in the next 5 years? 10 years? Are you living the life you truly desire? If not, what would you like to be different? Emotions let us know we are alive and breathing; experiencing life with all its ups and downs. Positive, enjoyable feelings are desired by most people, most of the time. We are a culture that wants to maximize feeling “good” and avoid, deny or minimize feeling “bad.” As soon as we categorize emotions as either good or bad, we pride ourselves to respond with acceptance or resistance. It’s easy to accept and embrace the positive, enjoyable emotions. It is much more challenging to accept the difficult, uncomfortable emotions. But if we can learn how to embrace all our emotions with the same neutral mind, the same steadiness, then we will learn how to feel our feelings fully but not be controlled by them in negative, growth-inhibiting ways. Learning to tune into what we feel in the moment, exploring our emotions, and listening to the messages they bring will allow us to be much more fully engaged with life and with others. It is also a skill required for growth. Integrating our emotions into the rest of who we are and into our relationships with others helps us to live from our true nature most effectively. If we are to learn the practice of curiosity, then we also need to learn the all-important capacity of managing one’s emotions effectively. Emotions come and go; they are impermanent. If we allow our emotions to just be, without gripping, tensing, ignoring or fueling them with negativity, they pass through us more smoothly and quickly. If we resist, grip, ignore or fuel the emotions, they take hold and get louder. Negative thoughts and stories have a great influence on the emotions that get stirred up as well as the emotions that stay longer and become a habitual way of thinking. Negativity is to anger, hurt, grief, anxiety, depression and sadness like water is to plants; it feeds them. So, it is essential to know when to allow our emotions to just be, feel what we feel, acknowledge the impact, honor the pain and suffering but not participate in watering the emotion with negativity. Think of the last time you were angry at your partner. Once angry, did you continue to talk to yourself about all the things he/she did that angered you? Then did you include past events that also angered you? Did you find yourself resisting the idea to slow down, breathe and remember the higher priority of being the kind of partner you aspire to be, which is a loving, understanding, curious, compassionate, and engaging partner. This is your brain in the fight or flight response. In fight or flight, our brain perceives a danger or threat (in our modern world the “danger” is usually being hurt by a loved one we trust) and it engages full throttle into protection mode. A way to stay protected is to keep the anger growing by feeding it negative stories. However, this will not get us to a deeper understanding of ourselves or our partner. It prevents us from true understanding and growth. You are not really learning anything about why you are feeling angry, you are merely telling yourself the stories to make sure you stay angry and stay protected. This is your anger in charge of you, rather than you being in charge of your anger. Now, think of a time that you felt angry and were able to admit to the feeling, acknowledge it, express it appropriately and then let it go. A time when you did not continue to tell yourself the negative narratives, and in doing so you actively participated in feeling the anger but then letting it naturally subside, bringing you back to a state of ease and clear thinking. Your fight or flight maybe tried to kick in, but you were able to tell yourself that you are safe, the anger is present, but you can manage it and the higher priority is the overall vision of being the kind of partner you aspire to be and creating the kind of relationship you desire to have. Managing emotions effectively require us to: acknowledge their presence and their impact without judgment, be compassionate toward what we feel, and be curious to learn more about why the emotions arise when they do and how we can take care of ourselves when they are present. When we are in an intimate relationship, not only is it essential to manage our emotions, but it is also essential to be non-reactive, and curious about our partner’s emotional life and experiences. Emotions are messengers. They arrive to inform us of what is going on internally. If we listen with non-judgmental curiosity and explore their teaching, then we move closer to understanding ourselves better. If we do the same in response to our partner’s emotions, we move to understand our partner better. This process creates growth, vibrancy, security, trust, and a sense of belonging within an intimate relationship. Then with nonjudgmental curiosity, explore what the emotion is trying to tell you. What is under the surface emotion? Do you feel invisible? Misunderstood? Unappreciated? Betrayed? Be compassionate as you discover the full range of emotions that may come up. And then move to asking yourself what you need / want to take care of yourself and nurture yourself as a way to lovingly respond to the difficult emotions. Do you need to write in a journal? Talk to a friend? Go for a walk? As if you were responding to a hurt child, how do you want to respond and take care of yourself in this moment? Observe if your brain wants to fuel the emotion with negative stories. If so, tell yourself that, in this moment, you are committed to calming and easing the emotion once it is acknowledged and gently explored. Remind yourself that as tempting as it is to slide into the negativity, it will not serve you in being the kind of partner you aspire to be. Myths of romantic, committed relationships foster unrealistic expectations. Unrealistic expectations lead to chronic disappointment. The cultural message about modern relationships emphasizes the bliss of the honeymoon phase, followed by the assumption that the couple then “lives happily ever after”. This story supports the false idea that if a couple is truly “in love” and “meant to be together”; there will be no effort, little distress and little conflict. The real challenges of modern relationships are not emphasized in our culture. And one of the biggest challenges for couples is learning how to integrate their differences into their couple-ship. When partners realize that their relationship is comprised of two separate individuals and that they are not completely in sync in all things and at all times, struggle and misunderstanding arrives. Yes, shared values, interests and similarities bring couples together. But individuals are also attracted to each other because of their differences. In the beginning, these differences are stimulating, exciting, interesting, and inspiring. Couples are more receptive in the beginning of their relationship to hearing, seeing and accepting each other’s differences. But once the honeymoon phase is over, these differences begin to feel less exciting and more problematic. The differences begin to feel, at the very least, annoying and inconvenient; and at the very worst, threatening to the couple’s bond. One of the most valuable practices couples can adopt is the practice of learning how to welcome and integrate their differences into a shared life so that both individuals are supported to be their best selves. When each individual in a relationship knows that they are free to explore their own interests and express their authentic voice, trust and connection deepens. 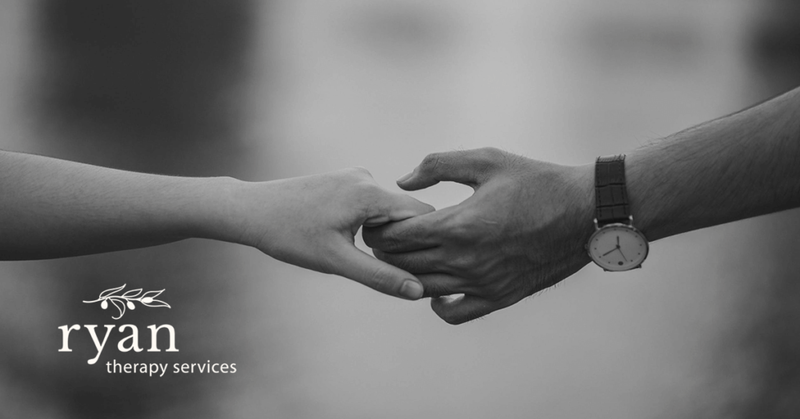 When partners feel that exploring their own interests or expressing their authentic voice generates conflict, pain and rejection, a lack of respect and support, trust is eroded, and disconnection takes root. We first come together intrigued by the “separateness” of each other; then we buy into the myth that, once in love and committed, we merge and become one. If we believe this myth then we are required to give up our individuality, and our unique voice. The capacity to integrate and welcome each other’s different voice, heart, opinion and perspective is required if couples desire to create a relationship that strengthens over time, becomes more passionate, more interesting, and is more sustainable and resilient. Not surprisingly we do this by committing to the first three practices discussed above: the practice of self-awareness, the practice of curiosity and the practice of managing one’s emotions. When these three practices are consistently integrated into our relationship, the capacity to accept, welcome and integrate each other’s differences is supported and allowed to develop. 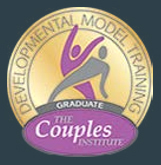 Most couples do want to sustain and nurture sexual intimacy, passion, and desire but in long-term relationships this is definitely a challenge; however, this cannot happen if we are denying the very thing that fuels intimacy, passion and sexual desire, which are the differences and the spaces between us. So, ask yourself, what am I afraid of when my partner shows me their differences? Why does this feel threatening or uncomfortable or irritating? What do I do that squelches my partner’s growth and expression of their authentic voice? How can I become more receptive, accepting and welcoming toward the differences in my partner? Once differences come to light, yes it can feel uncomfortable, one can feel anxious and it can feel threatening to the stability of the relationship… at first. But if we commit to a practice of accepting, welcoming, being curious about and integrating these differences into our relationship, they become the very thing that sustains, nurtures and strengthens our bond. The ending of the honeymoon phase is an important transition for all couples. It is a time ripe with opportunities for growth, increased satisfaction and ultimately, transformation. Are you ready to invite your partner to show you his/her differences with an open heart and a curious mind? Reflect on the last time you and your partner disagreed and your differences came to light. What was your response? What was challenging in hearing/seeing/acknowledging the difference? Go back to your partner now and ask them to describe their point of view again to you and commit to yourself and to your partner that you will listen with an open heart and curious mind. If you find yourself getting annoyed, irritated or anxious, take a break. Practice some self-awareness to get clear on your own experience. Re-commit to listening to your partner once again and remind yourself that your partner is a separate person; one whom you desire to support, respect and understand. This next practice, the practice of balancing connection and separateness, is intricately linked to the others. It is essential for healthy relationships to thrive. The more couples are able to practice the first four practices, the more natural this practice will unfold between partners. As you both practice increased self-awareness, curiosity, managing emotions effectively and welcoming and integrating your differences, your capacity to balance time together and time apart will increase. For different individuals, connection and separation present different challenges. For some, connection, intimacy and closeness are more challenging; while separateness, time alone and individual pursuits, are much more comfortable. For others, the connection is the comfortable place and the separateness is the challenge. So, first it is important that you know where you are most comfortable and where you are most challenged. As you identify this, you can then decide if you want to set an intention to commit to building muscles in the area that is less comfortable to you. Connection is essential in the development of trust. And most couples require connection in order to engage in sexual activity and use connection as a building block for intimacy. However, connection not balanced with times of separation can also begin to feel stifling, boring, and unfulfilling. It can begin to create feelings of losing one’s self. It can lead to a deep longing to get to know oneself again, the one who exists as a unique and separate self from our partner. This is why, while connection is so very important to a healthy relationship, it very much needs to be balanced with separation. Separateness fuels interest, renewed passion, refreshing interactions and reminders that while we are a couple, we are also individuals. Separateness encourages us to move out of predictability and offers the spark of the unknown. Both unpredictability and the unknown are essential aspects of continued sexual desire and passion. Times of separateness must be spent well. If we use time apart in ways that take away from growth and from cultivating ones best self, they will not be as beneficial to the couple bond. Separateness is not the same as having a secret life or pursuing things that work against the couple bond and building trust. Separateness needs to happen in a context of integrity, honesty and openness in order to fully benefit the relationship and the growth of each individual. When connection and separateness are both actively cultivated and balanced, relationships thrive. Intimacy and sexual desire are nurtured. Appreciation for the relationship is fostered. And couples develop the muscles required to be together for the long-haul. Reflect on where you are most comfortable, either in the area of connection or separateness. What do you receive from the area in which you are most comfortable? How does this empower you and help you to feel more confident? What are the benefits for you and how you show up in your relationship? Are you ready to practice building muscles to strengthen the area you are less comfortable with? If so, what will this require of you? What do you imagine can be some of the benefits for you as you build this muscle? How can you support yourself in this learning process? How can your partner support you? Share with your partner, your comfort area and how this benefits you. Also, share your desire to build muscles in the area that brings discomfort. Listening means to lean in softly with a willingness to be changed by what we hear. Of all the practices mentioned here, I believe the cultivation, awakening and manifestation of compassion and empathy has the most potential for creating loving, thriving relationships. Compassion and empathy are tremendously soothing and healing to even the most painful of experiences and hurt. And yet, at times, they can be the most elusive when we need them the most. Compassion is made up of gentleness, kindness, grace, non-judgment, and patience. We can offer it to ourselves and we can offer it to our partner. We can give it and we can receive it. It is both, the giving and the receiving that allows a relationship to thrive. In my years of practice as a therapist, I have witnessed that when compassion is absent from a client’s relationship, great suffering and pain ensues. It is the one element that, when missing, can turn a loving relationship of trusting partners into a relationship with little or no trust, an unwillingness to be vulnerable and a sense of unreliability and safety. The lack of compassion and empathy more than anything else in an intimate relationship, contributes to partners building strong defensive walls to protect themselves from further hurt. Without compassion it is impossible to cultivate empathy, the other building block for trust and a thriving, loving relationship. Empathy is created in contexts of compassion. Once compassion is experienced, the door is open for empathy to flow in, for hurts to be soothed and for misery to be eased. If you are interested in creating a healthy, loving and thriving relationship (and I am pretty sure, if you have read up to this point, that you are), then I would highly encourage you to assess your capacity for giving and receiving compassion and empathy. If you practice compassion and empathy consistently with yourself and with your loved one, you will be participating in creating a loving, safe and thriving relationship. Giving compassion requires being fully present, engaged with and listening to another’s experience. It requires taking oneself out of the equation, refraining from self-referencing, and focusing fully on what another is presenting. Managing emotions, not becoming reactive, listening with the understanding that your partner is a separate person, are all part of this process. It is about seeing another in their full human-ness; which means we accept that our partner has strengths and limitations. And when we witness and listen to their limitations or the places where they are struggling, we move toward them with love, understanding, and gentle kindness. We do not have to fix, solve or feel responsible. We just have to be fully present. Receiving compassion requires openness and a willingness to let another witness, engage with and soothe our pain. It requires a willingness to be vulnerable, a sense of worthiness within and an acceptance of the idea that we deserve to receive kindness and love from another. It also requires us to accept that we have within ourselves limits, challenges and struggles and that we do not have to “go it alone”. We can reach out; we can reveal our vulnerability and share our authentic selves. We do not have to pretend that we are completely self-sufficient. We can be fully human, and we deserve to be loved, and held in the embrace of a compassionate response. Take some time for quiet reflection and meditation. Sit in a relaxed comfortable position. Close your eyes and breathe deeply. Focus on your breath and the sounds around you. Imagine telling your partner about a painful experience. Now imagine your partner’s direct, loving eye contact, receptive posture and calming presence. Imagine your partner listening with full presence, not distracted, not multi-tasking, and not self-referencing. Just listening, receiving, and validating your experience. No judgment, no advice, no solutions. Just present, focused and loving. Imagine your partner telling you about a painful experience. Look directly, yet gently at your partner as he/she speaks. Open your heart and mind to receive his/her words and the meaning behind the words. Listen with full presence, no distractions, no multi-tasking, no self-referencing. If you need to clarify, ask gentle questions that encourage your partner to go more deeply into what they are sharing. Or reflect back with validating statements. No judgment, no advice, no solutions. Just present, accepting, focused and loving. This post outlines and describes six essential practices you need to follow to create a healthy marriage. The word practice implies that in order to see results, intentional and consistent effort will be required. None of the practices discussed here are a one-shot deal. All of them are meant to be integrated into your way of life, your way of relating to and your way of being with yourself and with your partner. If practiced consistently enough, you will experience positive change and growth. The more compassionate and curious you are with yourself and toward your partner, the more likely you will be able to create the kind of relationship you envision and be the kind of partner you truly desire to be. Peace to you on this journey of transformation.